The Shiv Sena once again locked horns with the Union government which it is a part of. This time it is over the ban on its MP Ravindra Gaikwad from flying on Air India. Shiv Sena MPs took up the matter in the Lok Sabha on Thursday demanding the ban be revoked. However, even after an apology by Gaikwad, the government was unmoved. Irked by this, Shiv Sena MPs created a ruckus in the Parliament. The party has also threatened to boycott the NDA meeting scheduled on 10 April. In his rather emotional speech, Gaikwad claimed that he had been victimised without being given a chance to present his side of the story. “What is my crime? I have been punished without inquiry. 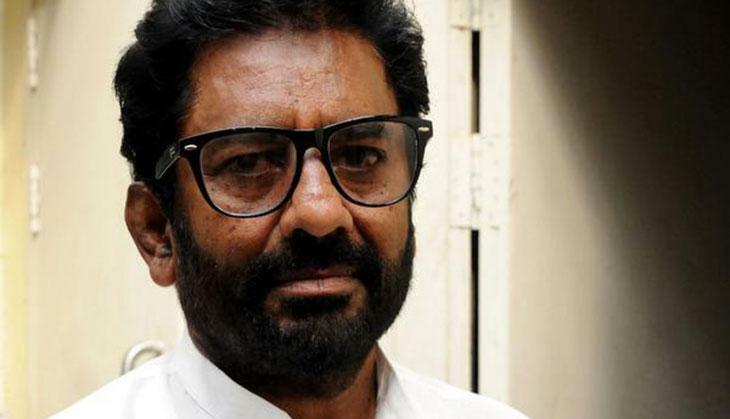 This is unfair, I must get a chance to defend myself,” Gaikwad said. Shiv Sena has threatened to stall operations at the Chhatrapati Shivaji International Airport, Mumbai if the ban on Gaikwad was not revoked immediately. In view of the threat, security at the airport has been beefed up. Meanwhile at the Lok Sabha, party MPs backed Gaikwad as he apoligsed to Parliament if his behavior caused any hurt. But he refused to apologise to Air India crew member whom he allegedly beat up. Gaikwad has alleged that the Air India official first abused him and pulled him by his collar. “I have been charged for attempt to murder and no action has been taken against the Air India official who abused and misbehaved with me,” he said. After Ravindra Gaikwad completed his speech in the Parliament, senior Shiv Sena MP and Union minister for heavy industries Anant Geete allegedly rushed to Ashok Gajapati Raju and demanded the ban should be lifted immediately. In a fit of anger, Geete banged on the desk. He also threatened that flight operations from Mumbai airport would not be allowed. 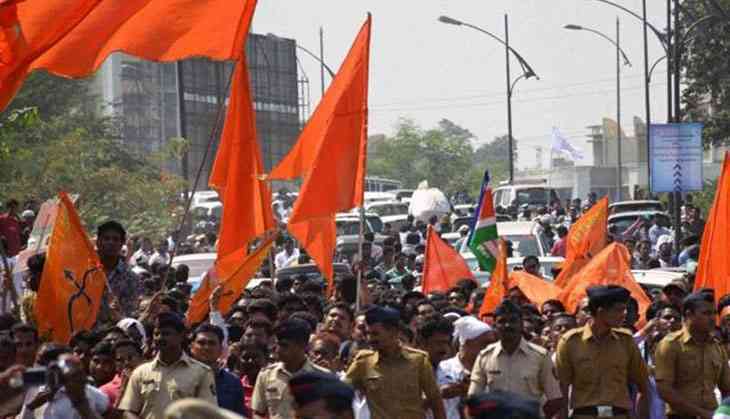 Sources said that Shiv Sena executive president Uddhav Thackeray had ordered his MPs to create ruckus in Parliament if the ban on Ravindra Gaikwad was not lifted. Gaikwad hit the headlines during the incident in Maharashtra Sadan in 2014, when another Sena MP force-fed a Muslim staff member during Ramzan. Gaikwad was also allegedly present there at that time. The latest incident took place on 23 March when he was on board the Air India flight from Pune to New Delhi. Gaikwad, who had a business class ticket to Delhi, boarded a flight that had only economy class. Irked over being made to travel economy class, he demanded a clarification and wanted to escalate the matter to higher authorities at Air India. During the flight, Gaikwad entered into altercation with the crew and assaulted a senior crew member with his chappal and hit him 25 times. “Yes, I hit the crew member with my chappal after he abused me. I am not a BJP MP to keep quiet even after abuse. I am a Shiv Sena MP,” Gaikwad said while talking to the media after he landed at New Delhi airport. After the incident, not only Air India, but all the other air lines banned Gaikwad from travelling on board. Some even cancelled the tickets booked by him. When he failed to book a ticket on any airline, Gaikwad finally reached Delhi on Thursday by a chartered plane. Meanwhile, another Gaikwad, who is also MP, had to pay the price for Ravindra Gaikwad's misbehaviour. BJP MP from Latur was questioned by airline staff while travelling and he had to prove that he was not the blacklisted MP.